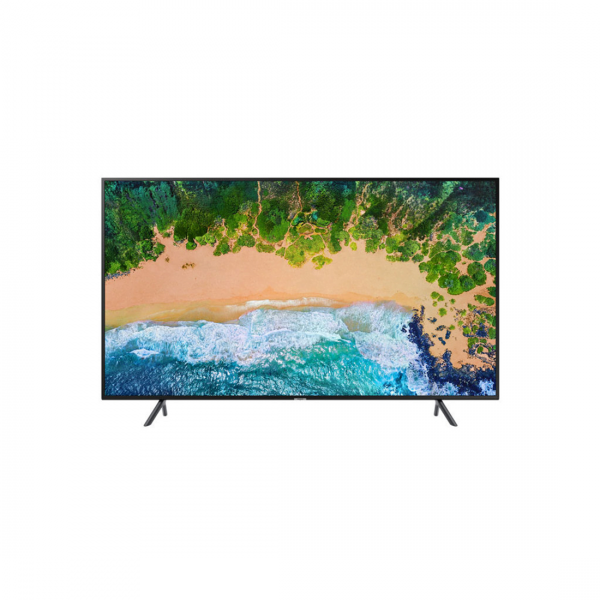 This Samsung UN75NU6900FXZC Series 75″-Class HDR UHD Smart LED TV has a 74.5″ LED display and features a 3840 x 2160 native resolution for viewing detailed UHD content. For enhanced color quality it supports the HDR10, HDR10+ and HLG HDR formats. Motion Rate 120 technology is on-board for combating distortion on fast-moving images like televised sporting events. 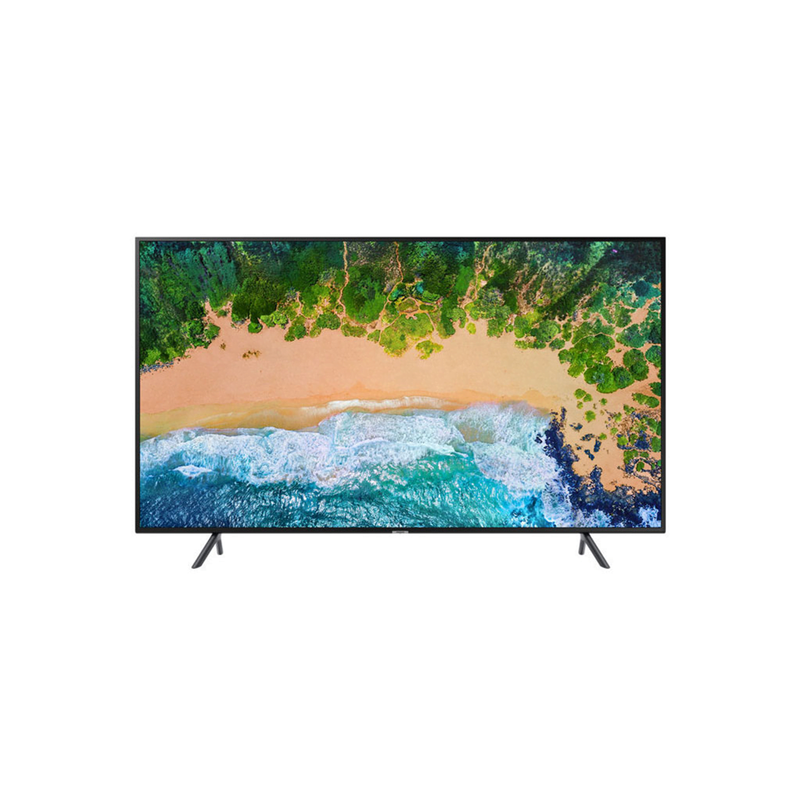 The UN75NU6900FXZC series has 802.11ac Wi-Fi connectivity for accessing Samsung’s smart TV interface which also allows you to stream content between your TV and compatible portable devices. With two HDMI inputs and one USB port you have multiple options for connecting high-resolution audio and video sources. An optical output allows you to connect the TV to legacy home theater systems. View high-dynamic-range content with the NU6900 series TV, which supports the HDR10, HDR10+, and HLG (Hybrid Log-Gamma) HDR formats. It also meets the CTA HDR-Compatible Definition. Motion Rate 120 technology digitally enhances fast-moving objects to help reduce blurriness. HDMI cables transmit both audio and video signals over a single cable. The onboard HDMI terminals support HDR video, UHD resolution and one also supports ARC.